Henry’s practice focuses on the areas of Wills, Trusts, Estate Administration, Guardianship Law, Small Business & Non-Profit Law; Elder Care Law, Tax Law and Mediation. Henry took a delayed path to entering the practice of law. Upon graduating from North Carolina State University, Henry worked in the furniture industry for almost nine years. During that time he worked progressively as a staff engineer, plant manager, and head of engineering. In his final position prior to leaving the furniture industry, Henry was a member of the Steering Committee for a corporation with over 250 employees and was responsible for overseeing the corporation’s IT Department, Product Development Department, and continuous efficiency improvement initiative. In 2003 Henry decided to follow in his father’s footsteps and pursue a career in the legal profession. Henry received his Juris Doctorate degree from Campbell University’s Norman Adrian Wiggins School of Law in 2006. Henry had the privilege to work with his father, Thomas Chambers Morphis, Sr., for 3 years before his father’s passing in 2009 and and for a total of 8 years with his father’s law firm Young, Morphis, Bach & Taylor before starting his own law practice, Morphis Law & Mediation in 2014. 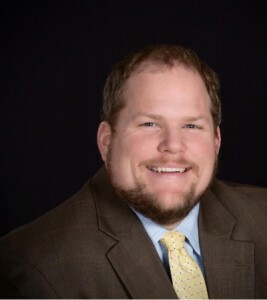 As an attorney and counselor at law Henry strives to zealously advocate for his clients while also making sure that his clients are able to make rational, informed decisions by understanding the potentialities associated with their matter. Henry is honored that Martindale-Hubbell has awarded him its highest rating (AV) based on reviews from Henry’s peers in the legal community. As a mediator Henry acts as a neutral party who helps facilitate resolutions between parties involved in both civil litigation and various other disputes. Henry is a North Carolina certified Superior Court Mediator and is also certified by the North Carolina Dispute Resolution Commission to mediate Special Proceedings, Estate and Guardianship matters. Henry and his wife Lisa live in Hickory with their two children and are active church and community members. Henry currently serves on the Catawba County United Way Board of Directors; the Catawba County Partnership for Children Board of Directors (past-president); the Catawba County Behavioral Health Board of Directors; the Hickory Rescue Squad Board of Directors; and is a member of the Western Catawba County Kiwanis Club. In his spare time Henry enjoys gardening, canoeing, hiking, volunteering in the public school system and being a cub scout leader.